8 km this side of Telavi, a large blue sign by the road indicates the way to Ikalto. It runs parallel to Alazani River and leads you to the small car park in front of the walled Ikalto Monastery, beautifully set among cypress trees. 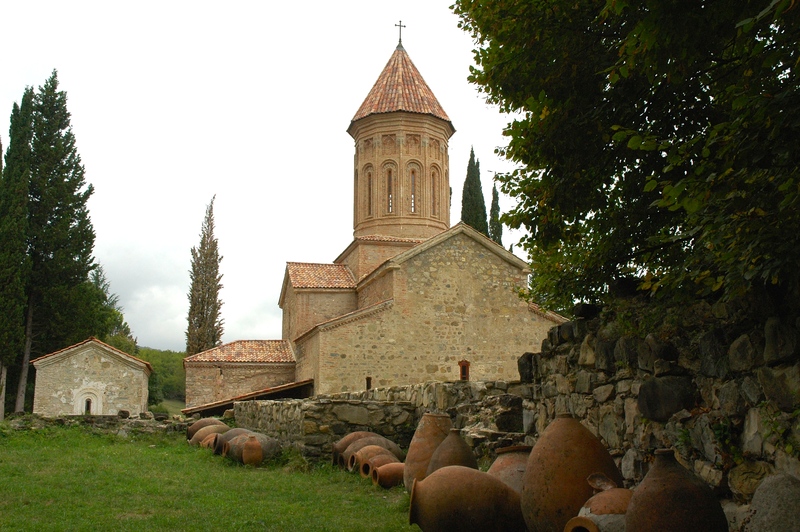 It was founded by Saint Zenon, one of the Thirteen Syrian Fathers, in the late 6th century and became one of the most significant cultural-scholastic centres of Georgia when an academy was founded there in the early 12th century offering students theology, rhetoric, astronomy, philosophy, geography, geometry, chanting and practical skills such as pottery making, metal work, pharmacology and surprisingly, viticulture and wine making. 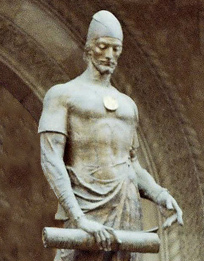 The 12th century Georgian poet Shosta Rustaveli – the author of the epic poem The Knight in the Panther’s Skin, studied here. There are three churches on the monastery grounds – Khvtaeba, Kvelatsminda and Sameba. 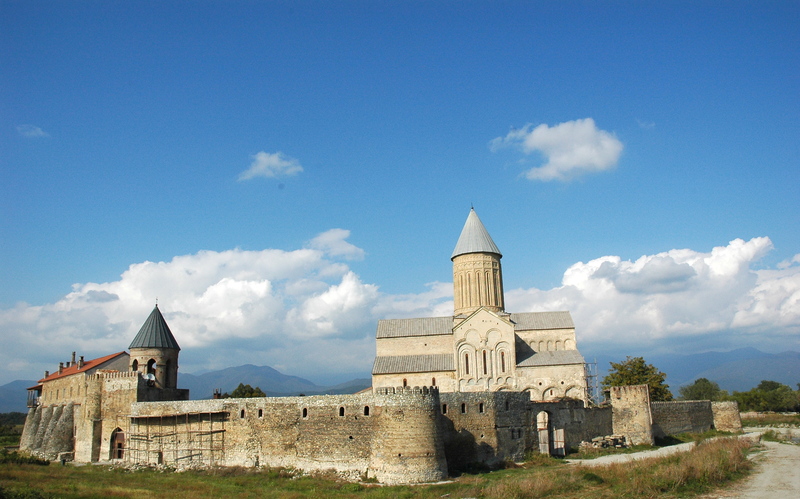 The main church, Khvtaeba (Holy Spirit), was built in the 8th–9th century on the site of an older church (in which Saint Zenon had been buried). The Russians whitewashed the interior of the church in the 19th century obliterating the frescos. Kvelatsminda church is a 7th century bare, undecorated basilica and Sameba (Church of the Trinity) is another small church from the 6th. 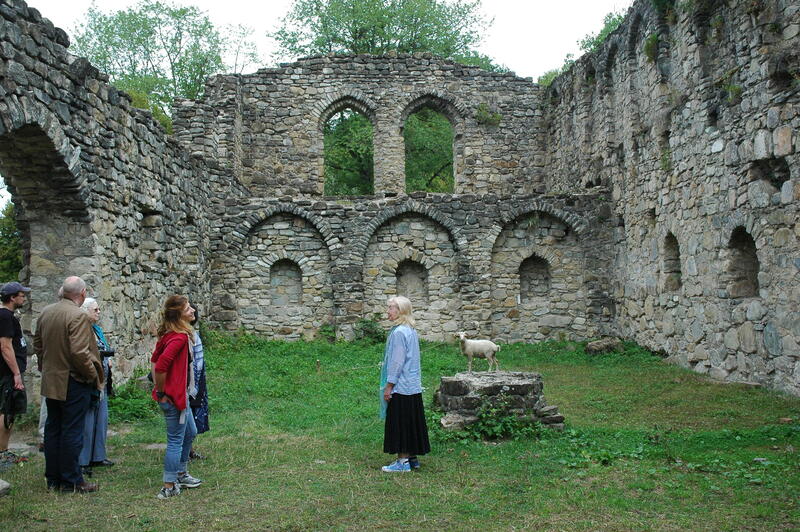 The ruins of the Academy are behind the three churches with evidence of a once thriving wine culture. 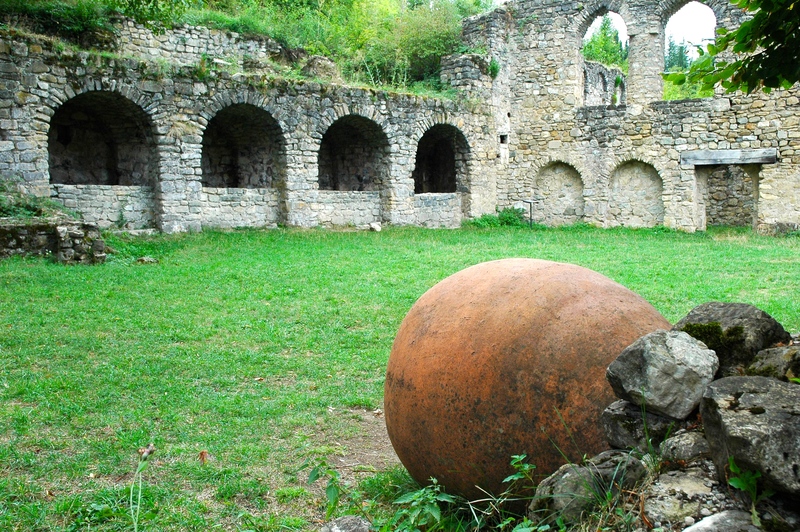 The winery and cellars make up a significant part of the complex. On one side of the ancient winery are the large stone troughs where grapes were crushed by feet. 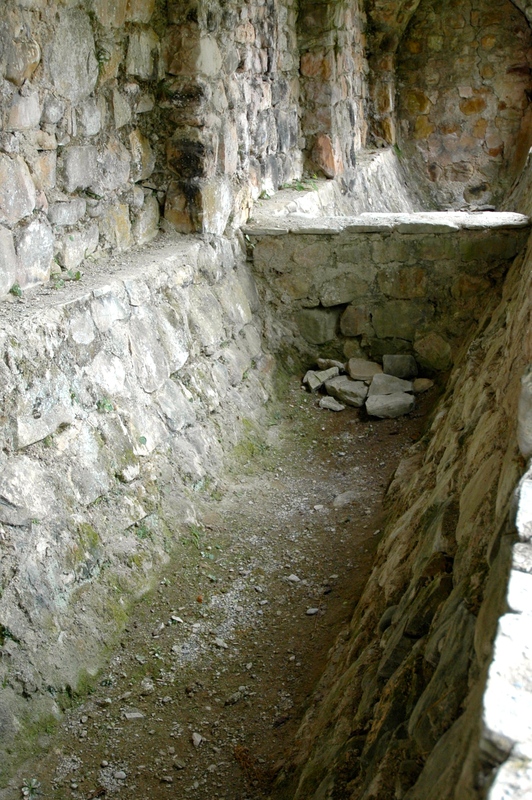 Buried qvevri are neatly arranged in the Marani (cellar) and others are scattered about. The roofless refectory of the academy is an impressive stone structure. The Academy flourished up to 1616 when Persian invaders led by Shah Abbas set it on fire. Today Ikalto is looked after by Father Zakari under the guidance of Bishop Davit of Alaverdi. The plan is to make Ikalto once again a centre for teaching traditional wine and qvevri making. Ikalto is a fascinating place, an academy in a monastery which taught oenology to lay students 900 years ago! Some of the shattered qvevri are so delicate and beautifully made and demonstrate the skill of the ancient masters. Today there are only a handful of great qvevri makers in all of Georgia and winemakers have to wait for aver three years to get hold of a new hand-made qvevri.